Issue opens where the last one ended. The Sinister created Cyclops (a mixed of Summers’ DNA and some unknown Inhuman DNA) stands before the X-Men. Jean reads its mind and conforms that isn’t the real Cyclops. That’s all Old Man Logan needed to hear, as he charges at NotCyclops, Notclops. Notclops blasts Old Man Logan through the sewers and out onto the streets. 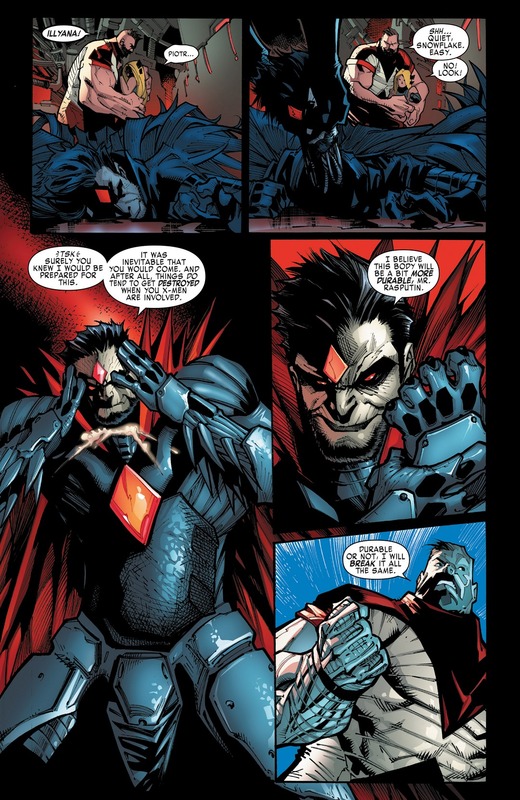 Sinister doesn’t want Notclops to be hurt, but the X-Men don’t care what Sinister wants. 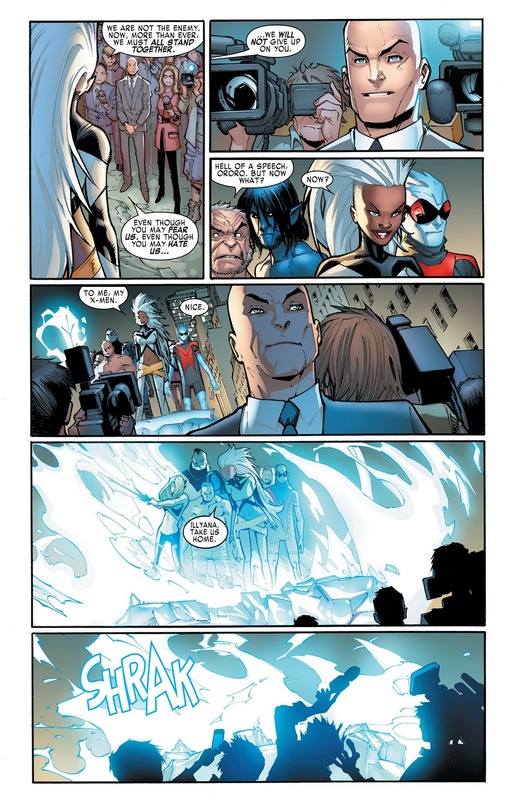 Storm tells Iceman to deep freeze Notclops. 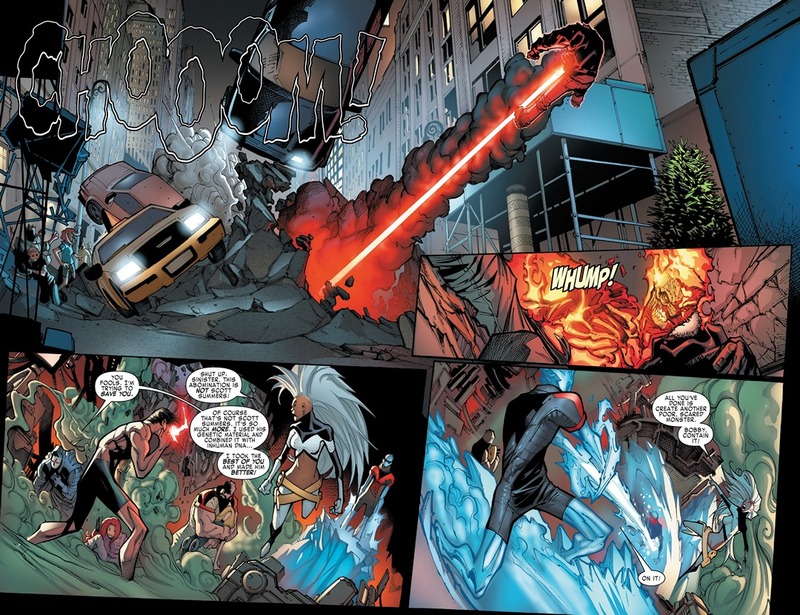 It doesn’t take long for the Inhuman DNA to take over and Notclops grows even more scales and loses control. Sinister gets lost in this dramatic transformation and while he is distracted, Colossus straight punches him in the back. Colossus does it so hard that we get to see a Gwen Stacy inspired “SNAP!” So Sinister’s back is way broken. 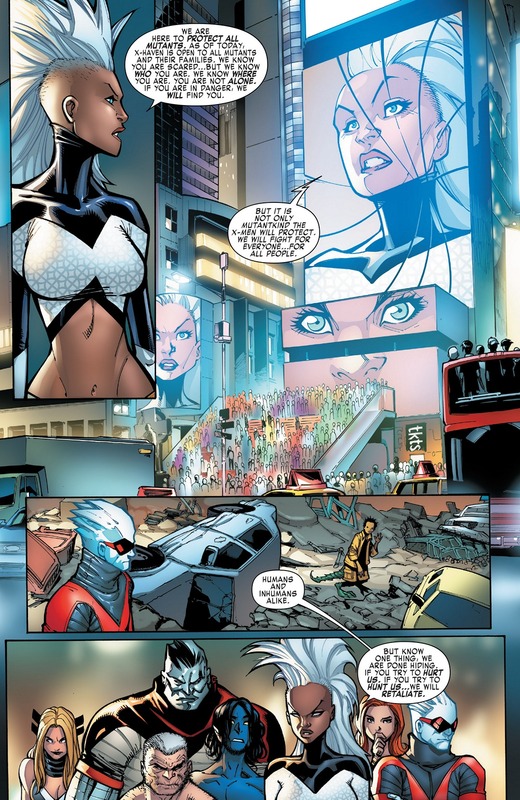 Storm checks in on Jean. Iceman gives chase after Notclyops. 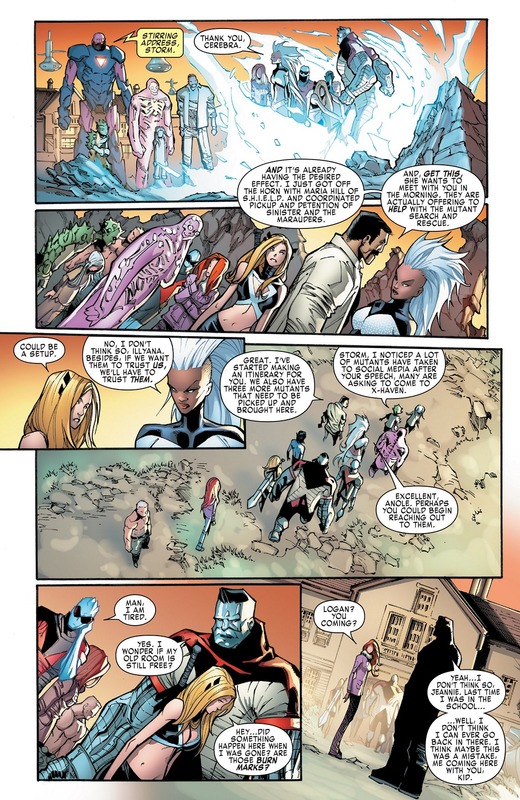 Colossus has to stay behind to watch over Illyana. Iceman tries to confine Notclops in a ice ring. Jean can’t shut Notclops down, as it doesn’t have a brain. Storm tells Jean to look after Old Man Logan. 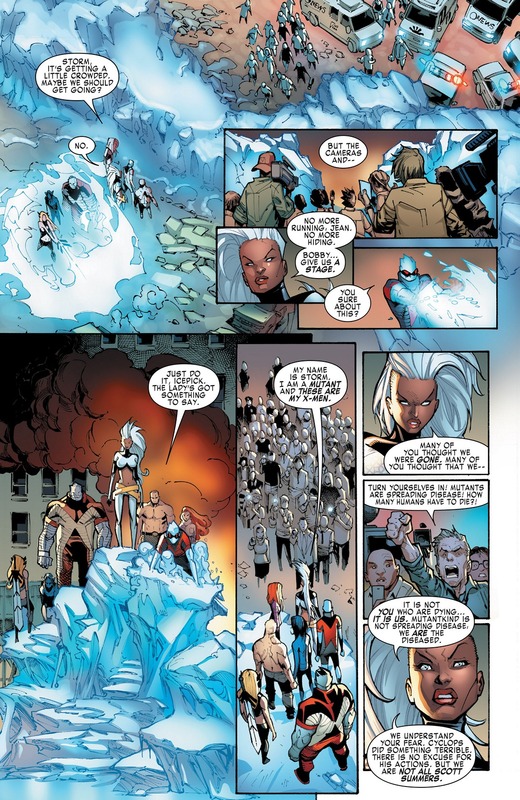 Storm will take on Notclops and Iceman starts saving civilians. Illyana is starting to wake up. She directs her brother to turn around. A body of Sinister picks up the head of the broken back Sinister and puts it into its neck. This body is suppose to be more durable than the last one. Colossus is ready for Round Two. Jean checks in on Old Man Logan, I like how slow his healing factor is now. That was one of the biggest issues with Present Day Wolverine. Iceman saves a dude whose legs are stuck under a bus. Iceman creates a giant Abominable Snowman to lift the bus. Storm tries to talk Notclops down but he can only growl. Old Man Logan gets a few slices in but gets blasted back. Colossus keeps beating on Sinister. 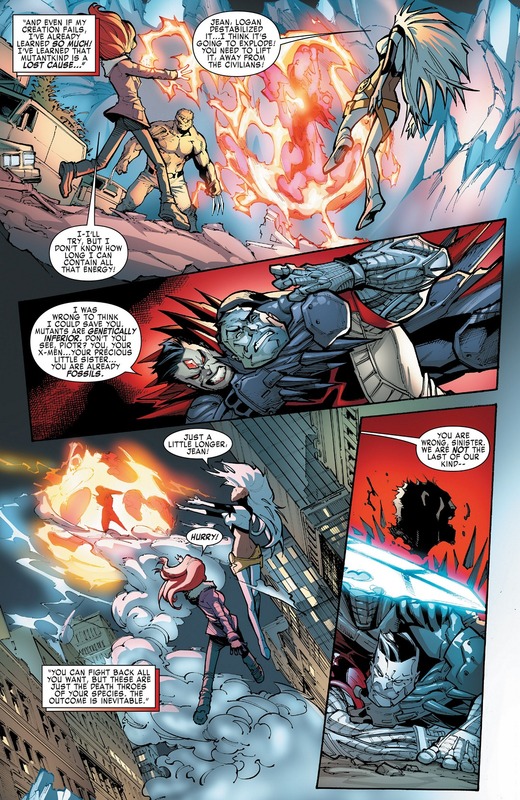 Sinister makes the point that Colossus wrecks and he builds. 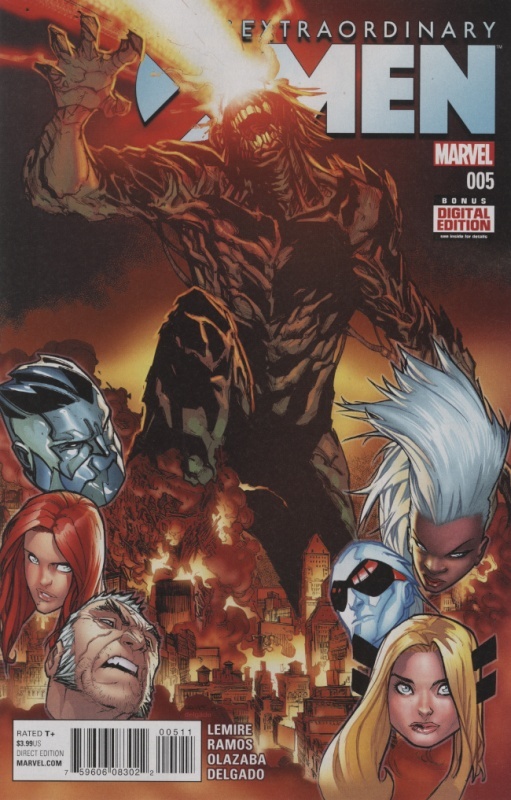 With that, Sinister slams Colossus into the ground. Sinister’s experiments has revealed that mutants are dying (again). Mutants are no long Homo Superior, they have become Inferior. Meanwhile, Jean has been keeping Notclops’ body from exploding and is trying to raise it into the air to cut down on the blast radius. 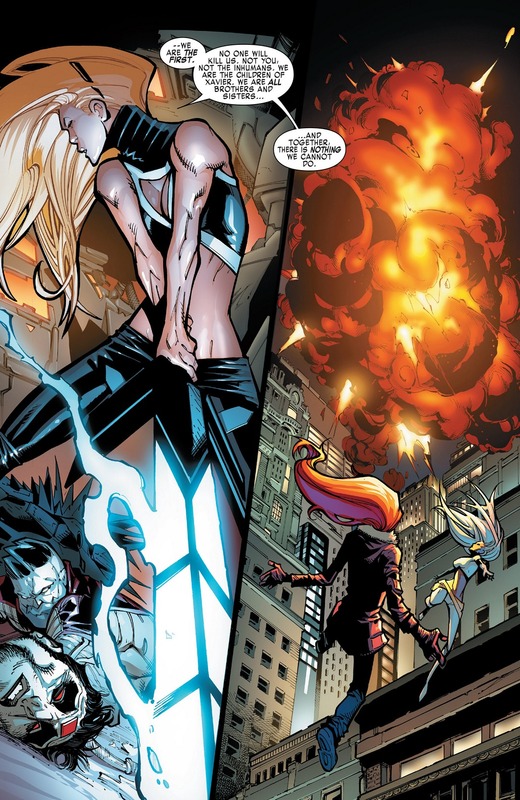 Illyana has gotten into the fight, with the bold move of slicing Sinister’s head off. Magik doesn’t think the X-Men are the last of their kind but the first. I like the phase “Children of Xavier” it just rings true and I really dig Illyana making with a monologue. She’s typically more of a doer than a talker. Notclops explodes in the sky, so he isn’t coming back anytime soon. Illyana looks to be drawn taller now, but I’m sure that’s just an artistic choice. Poor Kurt, he has clearly been through some things but he does recognize one of his oldest friends, and her brother. The X-Men are finally reunited, for the first time this series. Jean wants to go home but Storm has a speech she wants to make. She tells everybody in attendance, and the world around them (via the news crew) that the mutant race is dying. The X-Men will no longer be hiding. They will continue to protect and serve those who would fear and hate them. They will also be gathering any mutants that are not already at X-Haven. If anyone tries to hurt them, the X-Men will squash that fool. Storm is still seeing Xavier’s ghost. 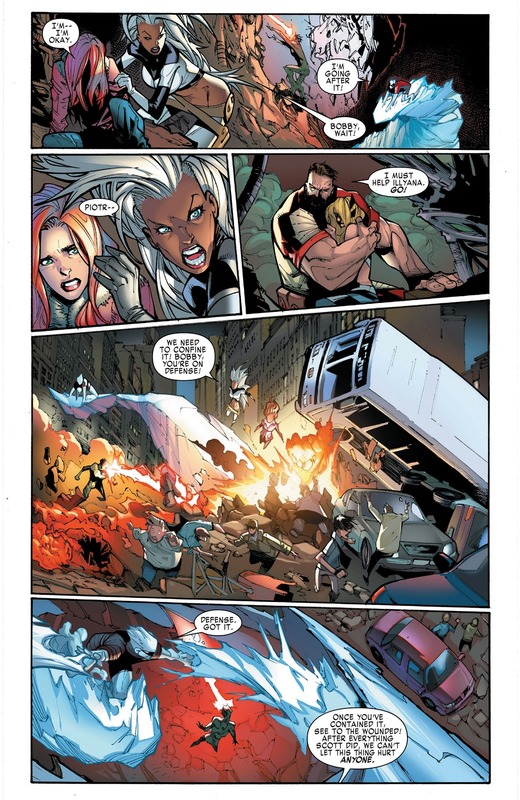 With a classic “to me, my X-Men” Storm asks Magik to send them home. Cerebra likes Storm’s speech. Forge informs Storm that Maria Hill wants to have a meeting, so that they can get on the same page. Magik doesn’t trust SHIELD but Storm wants to give them a chance. 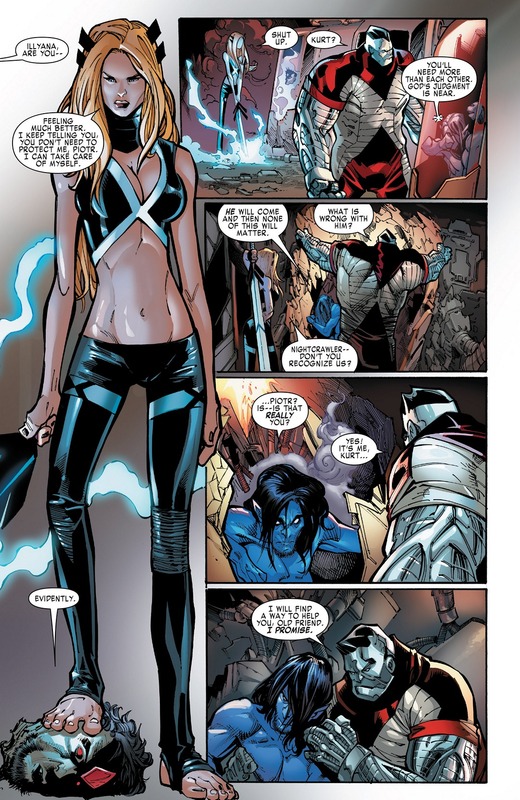 Magik notices that a fight occurred in Limbo, which I’m sure causes some conflict within her. She’ll have to tell those demons to leave the mutants alone. Issue ends with Old Man Logan not wanting to go into the school. Jean thinks Glob Herman is a little cute and she tells Old Man Logan that there is a teenage Scott Summers, which doesn’t thrill him. Next issue starts the Search and Rescue storyline, that Magik is involved in, so we’ll be definitely be buying it.